I've been so excited for spring lately (as you may have noticed), so I was inspired to start my herb garden a little early (inside of course, on my windowsill). Once the weather gets warmer I'll transfer them to my balcony (assuming the seeds actually grow!). I planted basil, coriander and thyme. By the way, did you know how incredibly teeny thyme seeds are? 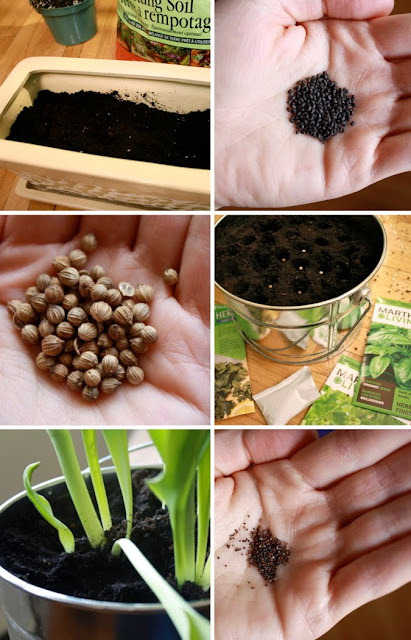 (last photo)... it took meticulous effort to plant each seed separately! 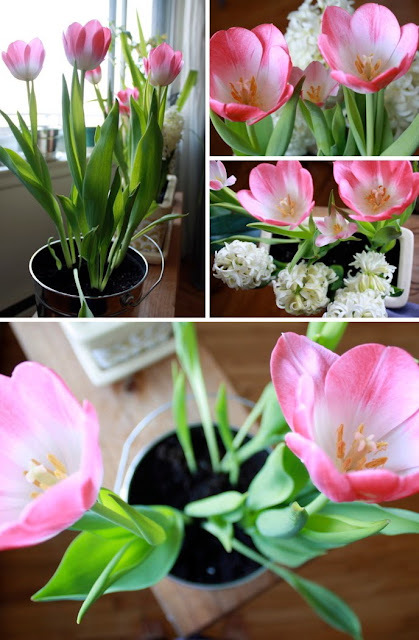 While I was at it, I also planted some tulips and hyacinths in paint buckets (for some instant gratification, while I wait for the seeds to sprout).